Located in the East Sikkim district, Singtam is a small town which can be travelled to from Gangtok and Siliguri via buses and jeeps. You can find good accommodation facilities in Gangtok and enjoy a pleasurable stay with the world-class amenities provided by the hotels. Singtam also houses the Government Fruit Preservation Factory. If you sit down to make a list of places to visit in Singtam, the first place which shall definitely strike your mind is the lovely 'Bermiok Monastery' which was constructed in 1952. Heard about the Dzongu Valley? It has various trees filled with ripe oranges and the serenity and calmness of the place are still maintained perfectly. Pollution has not been able to lay a finger on it as yet. It is now accessible by all which was not the case in previous times. Ony Lepchas were allowed back then. Tourists were allured by the lush green forests and rivers. Singtam is only 30 km away from the state of Sikkim. It is definitely in the winter season that you would like to visit Singtam as the sights of mountains and valleys are simply breathtaking. Also, the weather is quite praiseworthy because it is devoid of much sunlight and is crystal clear and amazing. The months from December to February experience a drop in temperature to about 4°C. By Air: The closest airport is in West Bengal which goes by the name Bagdogra. It is, however, at a distance of 124 km from where flights take off for Kolkata, Delhi and Guwahati. The airport has established a connection with Gangtok via a helicopter which flies from Gangtok to Bagdogra and vice versa. By Rail: The two railway stations within closest proximity are at Siliguri (114 km) and New Jalpaiguri (125 km) which bridge the gap between Lucknow, Kolkata, Delhi, Guwahati and other important cities of India. It shall definitely be exciting to talk about some places you can visit around here. You can spot this holy Buddhist shrine lying in the south in Bermiok village. The monastery building had undergone earthquake attacks twice before it was replaced with the help of the government in 1954. It is usually visited by people between November and May and is around 45 km from Singtam. Many major celebrations take place here. 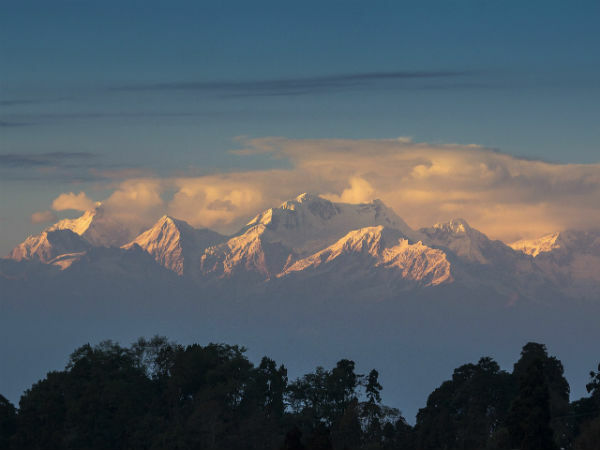 This valley is fast becoming a popular tourist destination as it lies in the shelter of the mesmerizing Mount Kanchenjunga and Siniolchu. It is also fortunate to have the cardinal rivers, Teesta and Tolung. Have you ever wondered how this lovely valley came into existence? The valley is formed by the rivers that arise from the Great Himalayas as a result of the super-fast flowing rivers fed by the glaciers. 70 km north of Gangtok, you can visit this valley via the Singtam road. This river flowed in three directions: the Karatoya in the east, the Punarbhaba in the west and the Atrai in the centre. No wonder the name 'Teesta' is derived from the word 'Trisrota' meaning 'comprising three streams.' Unfortunately, it was hit by a flood in 1787 and the course of the river did not remain the same anymore. The meeting point of the Teesta and Rangit rivers contain white sand which is put to good use by the construction industry. Teesta is also an amazing hub for white water rafting which is too entertaining to miss! And you shall love the Teesta Bazaar too which is at the junction of the Siliguri-Gangtok National Highway, on the right bank of the river. Local food items, lanterns, silver jewellery, crockery as well as hand paintings on scrolls are the speciality of this market. Too much use of groundwater has dehydrated the place but it usually served as a boon to numerous farmers, boatmen and fishermen. This river has been known as 'nature's pride'. Have you heard about the 'Peshoke View Point?' It is surrounded by evergreen forests and is at the junction of Teesta joining Rangit. It takes around 4 h from Singtam via NH17. The name itself suggests that it is known for being the retreat of several varieties of birds in the green lap of Nature. Its location is the Southern part of Sikkim where it houses more than 2000 species of birds. Vibrant butterflies also adorn this place and so do a stunning variety of vegetation. The sal and chir pine forest and the river Rangit play a big role in enhancing the beauty of the place. If you are an enthusiastic birdwatcher, this place is your heaven on earth. Peacocks keep traversing the entire place in glee whereas you shall also find the grey-crowned prinia, yellow-vented warbler, rufous-necked hornbill and chestnut-breasted partridge. River Rangit shall pull all the adventure fanatics to it via rafting and angling activities and a refreshing walk along the banks of the rivers Rangit and Manpur shall just be worth it! Does 'Alley-Khat' ring a bell? It is a paddock which offers a mindblowing view of the hills which the visitors hop to in large numbers. Winter is the most favourable season to visit the sanctuary as all the migratory birds start trickling in after the month of October. It takes around 1 h and 40 min from the town of Singtam, Sikkim.